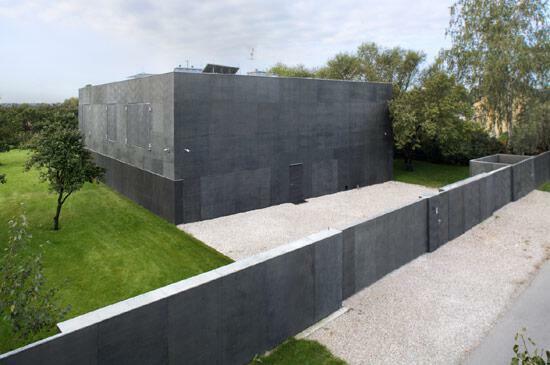 Presenting… the first Zombie proof house! This is quite a well design, fortified dwelling that will protect you from an undead horde on your doorstep. Hasn’t actually been tried and tested yet but it sure as hell looks effective. I do think that the roller shutter could be a vulnerability tho. Zombies constantly banging and falling against it could actually, over a period of time pull a few kinks loose and them down she comes. So roll on the next doomsday date until it possibly gets its dry run! 🙂 Some really nice interiors, would be a shame to splatter zombie brains all over the place. CLICK HERE FOR MORE PHOTOS >>>>>> Zombie proof House!